Las Vegas has plenty of opportunities for work and play, so you want to minimize the time you spend dealing with your storage unit. And you also want features that give you peace of mind about your stored items. 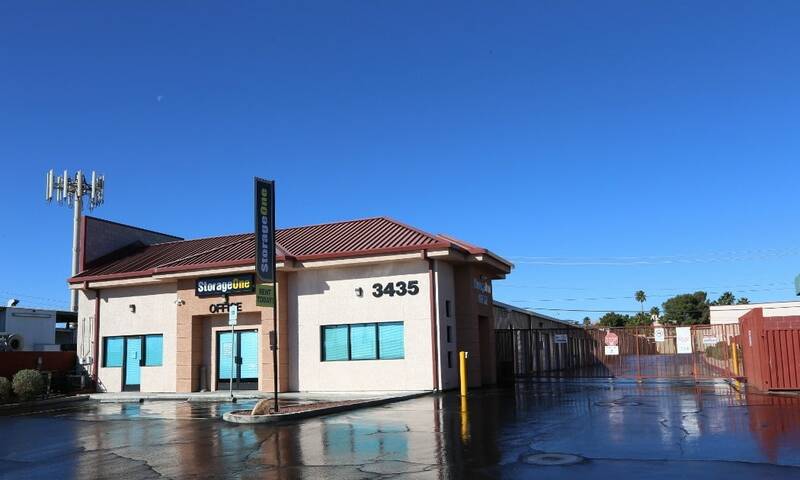 Let StorageOne Decatur & Spring Mountain Self Storage in Las Vegas help. We make self storage convenient so you can get on with your busy days and nights! Our friendly and knowledgeable storage professionals are on hand daily at our clean and well-maintained storage facility to assist with all your self-storage needs. If you need boxes, bubble wrap, or packing tape, our store carries a wide variety of packing and moving supplies. If you need additional assistance, we also offer complete moving services. Our Las Vegas interior storage units are individually alarmed. You’ll receive a unique pass code to enter our electronic gate system during our extended access hours. Our storage facility is fully fenced, well lit, and monitored with video surveillance. We also offer U-Haul truck and trailer rentals for your convenience.